A child holds the flag of Katibat al Ghuraba. 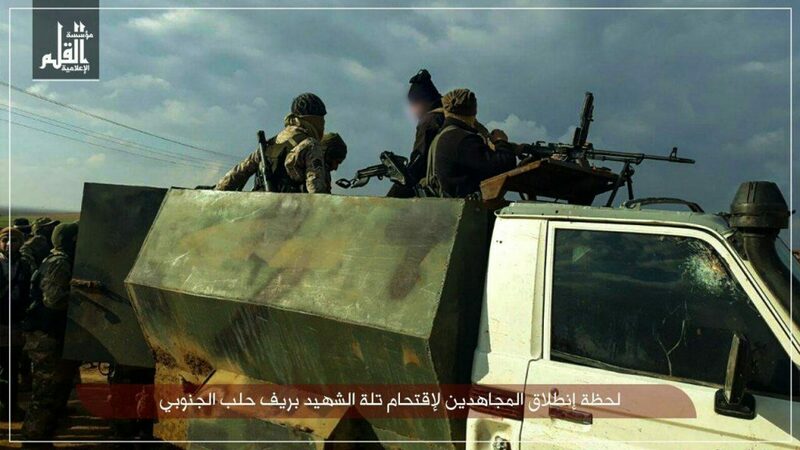 In July 2017, a new jihadist group began advertising its presence in northwestern Syria. The outfit, Katibat al Ghuraba, or Katibat al Ghuraba al Turkistan (KGT), claims to be mainly comprised of ethnic Uighurs, but other ethnicities are represented in its ranks as well. 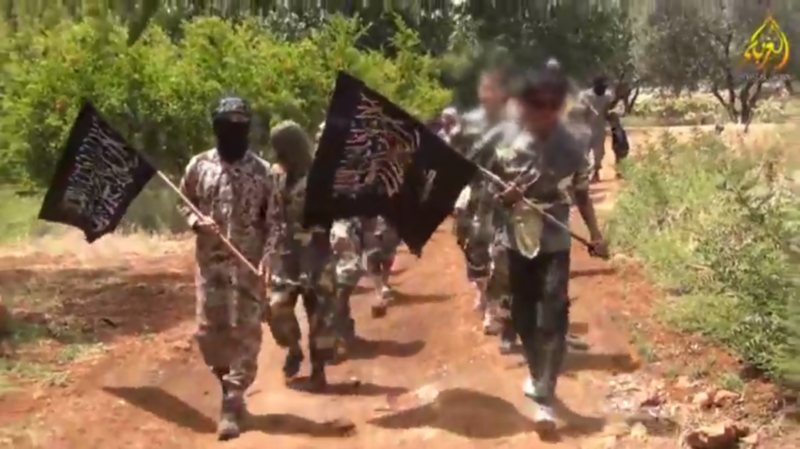 It is unclear what its relationship is with the largest ethnic Uighur organization in Syria, the Turkistan Islamic Party, which is affiliated with al Qaeda. However, it has become more prevalent on social media in recent weeks, as it takes part in battles against the Assad regime alongside other jihadist groups. KGT has uploaded several videos to YouTube. The productions include combat footage, interviews, lectures, as well as footage of a training camp and a school for children. More recent videos also show instructions on how to operate BMPs and T55 tanks. 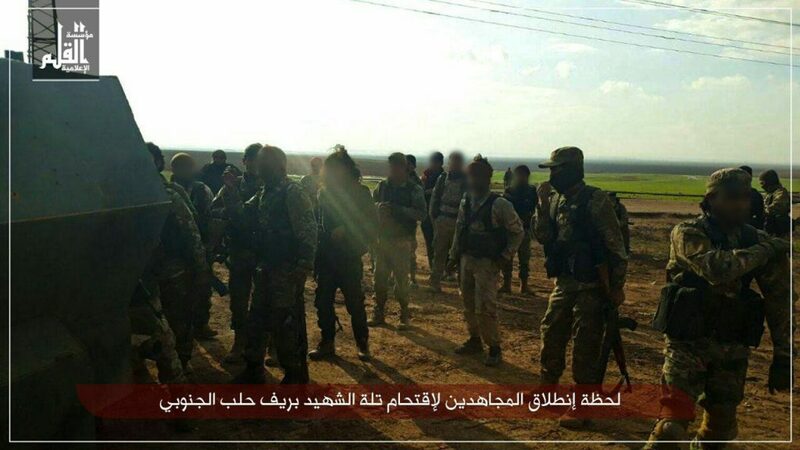 KGT appears to be based in Idlib, however, its men also fought near Sawran, Hama, in March. 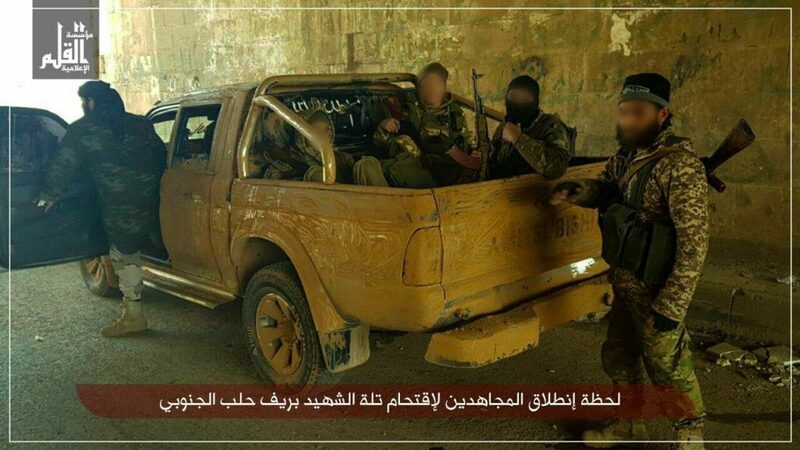 KGT has operated alongside Hay’at Tahrir al Sham (HTS) and other allies in northern Hama. It has uploaded combat footage from southern Aleppo as well. The group’s members include native Syrians and other fighters of Arab descent. In one video, a Palestinian member is shown speaking to the camera. In another, a talk by KGT’s emir (leader) is dubbed over in Uighur — indicating that he is likely not an ethnic Uighur himself. 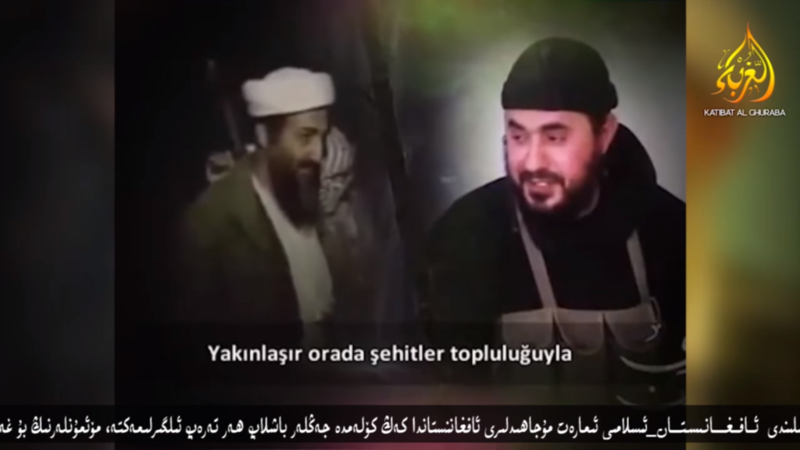 Other fighters, however, appear to be Uighur or Central Asian in origin. KGT’s overall size is not known, but it is likely very small. Despite having many Arabs within its ranks, its media is almost exclusively in Uighur. In addition, it has focused some of its propaganda on China and its crimes against Uighurs in Xinjiang Province. 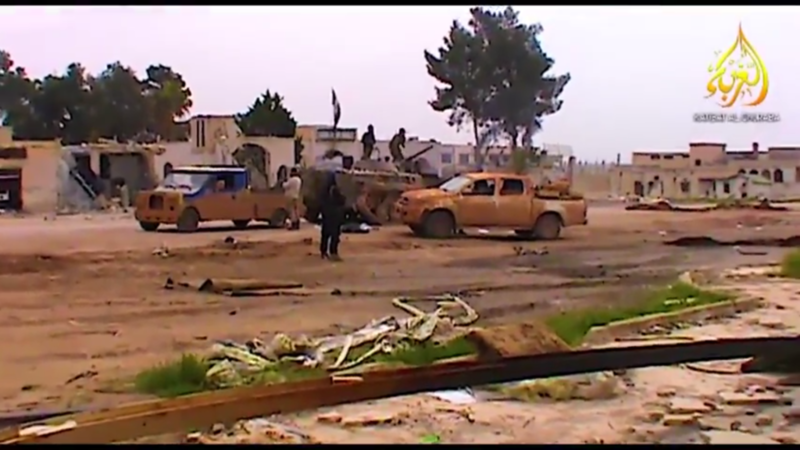 At least two videos appear to show its fighters in Afghanistan, including clips of its “martyrs” there. The footage seems to be dated and it is not clear if KGT currently operates in both countries. Several Central Asian groups in Syria currently have or have had a historical presence in Afghanistan. KGT has not hid its ideology, as al Qaeda figures and propaganda have played a prominent role in its videos. Osama bin Laden, Ayman al Zawahiri, Abu Musab al Zarqawi, Mohammad Atef, Saeed al Masri, and Abdullah Azzam have all been featured. Clips from al Qaeda branches, like Shabaab in Somalia, as well as the Afghan Taliban, an al Qaeda ally, have also been used. 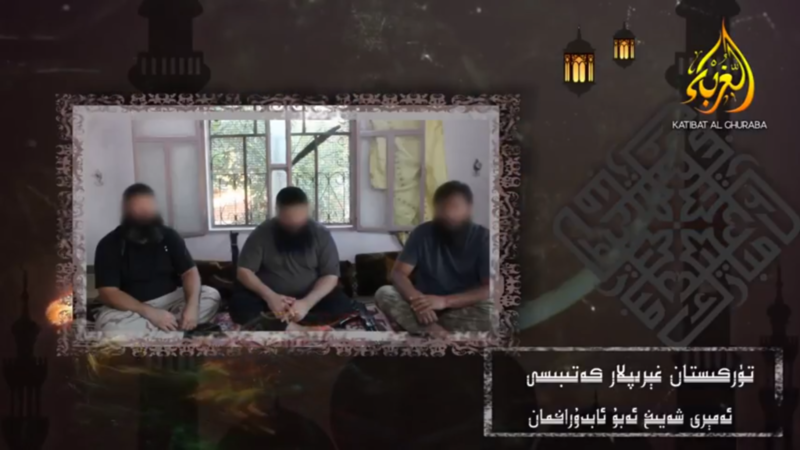 It has also dubbed several videos produced by Hay’at Tahrir al Sham (HTS), which was formed by the group formerly known as Al Nusrah Front, into Uighur. 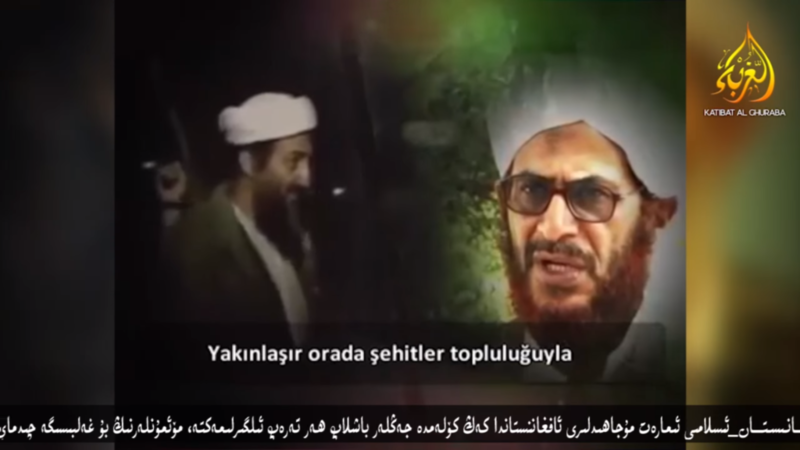 Each of these videos featured the al Qaeda-linked Saudi cleric, Abdullah Muhaysini. 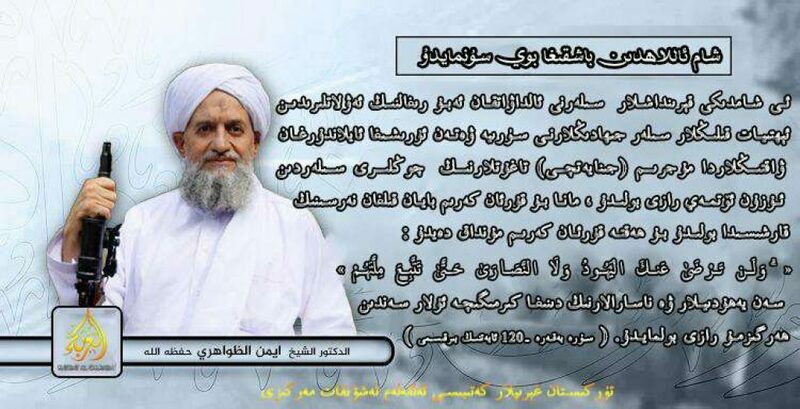 On its Telegram channel, it has also shared media produced by the deceased al Qaeda ideologue Anwar al Awlaki, HTS, and al Qaeda in the Arabian Peninsula. Besides operating alongside HTS and other al Qaeda-linked jihadist groups in northwestern Syria, it is likely that KTG contains former members of these groups. It emerged around the same time rebel infighting broke out in Idlib and Hama last year, but it is unclear if it is linked to this event. 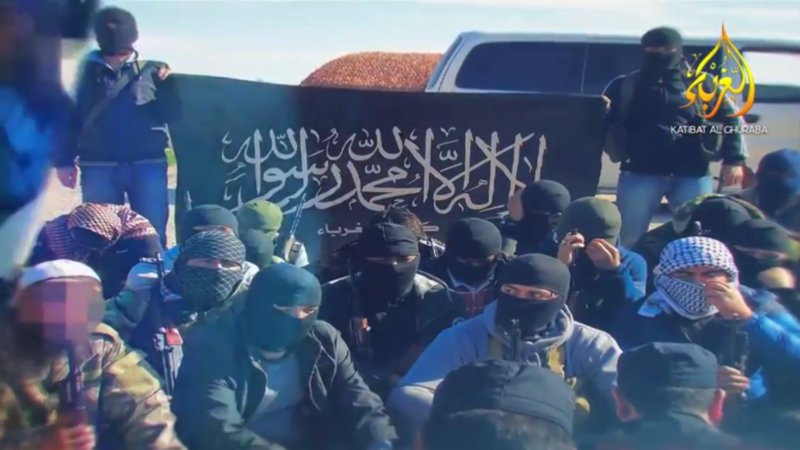 While KTG is not very large and is ethnically diverse, it is yet another al Qaeda-linked jihadist group claiming to represent a contingent of ethnic Uighurs in Syria. The few odd parts of this, why the heck are these folks from western China even caring about this conflagration, someone is obviously recruiting them. This applies to terrorists from Indonesia back to Lebanon and north to the Caucasus. As we in the west sit back and scoff as they kill each other faster than we can kill them. Almost like Russia purging it’s military just before the Germans attacked, leaving them almost unable to defend itself at the onset. But hey, less work for our guys. Any one who thinks we can kill our way thru this is delusional! They can out breed us! What is the name of this group in Uyghur and Chinese, to help me track it? The more media attention these guys get the better!!! China, lets hope will come flying in with the special forces and put a hurt on these guys.